Founded in 2009 by TAG and John, Smooth Ambler Spirits set out to produce fine artisan spirits by combining patient Appalachian know-how with the finest of American ingredients. Located in the rural Greenbrier Valley of West Virginia, Smooth Ambler uses state-of-the-art distillery equipment in conjunction with the natural resources of the region; high-valley mountain air, natural waters, ideal temperature variations and friendly folks. Most times, new distilleries rush to market, or they don’t “get” what real Bourbonites love about our hooch. Now y’all know me – I’m a traditionalist. I like the old brands with their traditional styles. So I was skeptical when I ordered my pour at Jockey Silks Bourbon Bar here in Louisville, Kentucky. Any seasoned bourbon drinker appreciates the nose of the bourbon as much as the taste, and Old Scout didn’t disappoint here. The nose on Smooth Ambler Old Scout bourbon is surprisingly strong for a 7 year old bourbon. While you may mistake the first wafts for an astringent, if you let the bourbon open up you will be rewarded with pine, cherries, and butterscotch aromas. Above all, there is the nice rich aroma of cedar coming off the glass. In fact, this is probably the dominant aroma that I get. The nose is like rubbing alcohol on your thighs in a sauna. Not a bad start for a newbie bourbon, but will the taste hold up?…. Smooth Ambler is made with a mash bill of 60% Corn, 36% Rye, and 4% Malted Barley. This is a fairly unique mash bill that makes for some complex and interesting flavor profiles. The first taste is warm, buttery and yeasty. Like a fresh baked and buttered biscuit. Considering the mash bill, I wasn’t expecting that at all. I notice the proof as much as I notice the initial flavor, not because it stands out but because it doesn’t. This is one of the smoothest 99 proof bourbons I may have ever tasted! There is a slight burn in the front, but none in the back. Mild red fruit flavors and dried flowers match the butterscotch that I got from the nose. The finish is moderately long and rich. It sticks to your palate the way the bourbon sticks to the sides of the glass when you swirl it. Smooth Ambler Old Scout is easily the smoothest bourbon I have had in a long time. 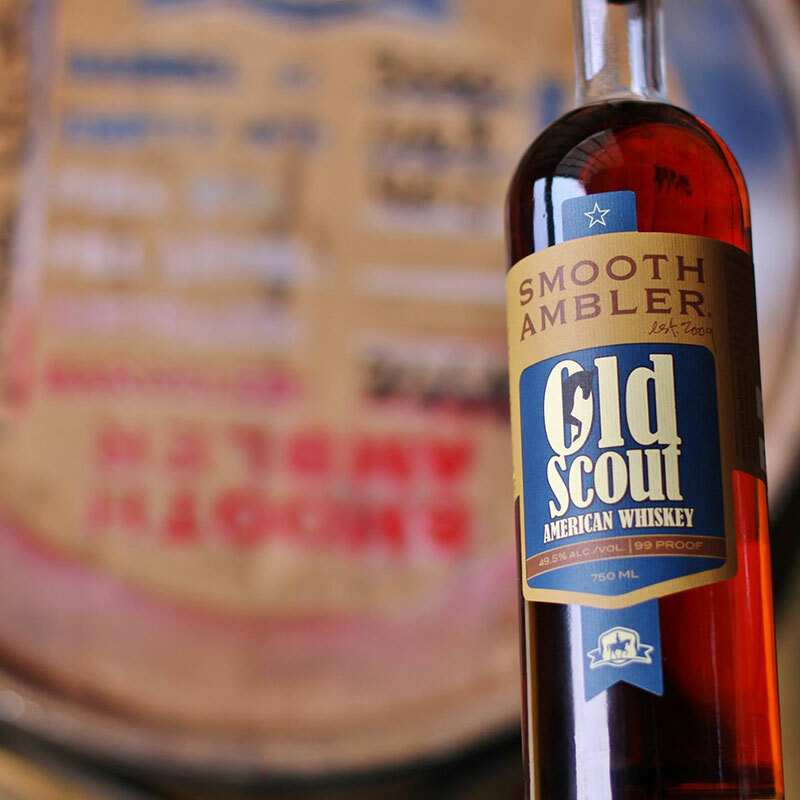 For a newcomer on the bourbon scene, Smooth Ambler Old Scout really gets it right. This is a nice sipper with flavors and aromas that you can enjoy whether you are a true bourbonite or not! We give this bourbon a solid B+. Smooth Ambler Old Scout bourbon price is around $10 a pour and about $38 a fifth. Worth every penny! If you enjoyed this bourbon review, keep the conversation going! Tell us what you think by leaving a comment below!